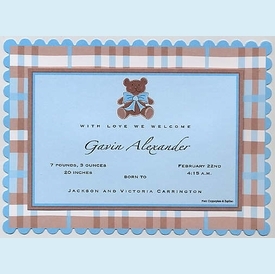 Adorable invitation with scalloped edging and blue, brown & white plaid background topped by a baby blue card trimmed in blue & brown. 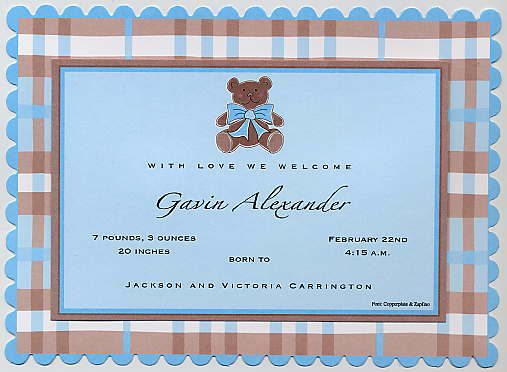 The baby blue card is features an adorable teddy bear wearing a blue bow. Great for a baby shower or announcement! Customer assembly required. CLOSEOUT...only 2 boxes left! SIZE DIMENSIONS: 6.875" x 5"